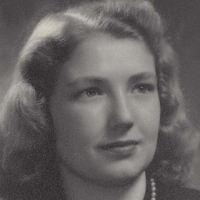 On April 7, 2019, Jean O'Brien, mother of Team Captain, Bee O'Brien, passed quietly at the age of 91. Her husband, George, who passed in 1988 had FSHD, a form of Muscular Dystrophy. Bee O'Brien and her brother George are also affected by FSHD. The family would like to raise money in Jean's name to help give strength to those affected by any form of neuromuscular disease.